VERY RARE!! 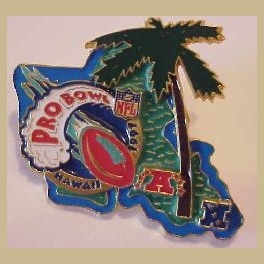 The first press pin issued by the NFL and given to media covering the Hawaii 1997 Pro Bowl; individually numbered (on back of pin) edition of only 350. No more Pro Bowl Press pins were ever produced.